Sometimes you forget about parts of your heart and about things that make your heart feel fully alive…until you are staring those things in the face. On Tuesday I attended a high school choir concert and on Wednesday I attended a collegiate musical, and I remembered. Music and lyrics…the hush of haunting melodies and the belting of Broadway-style showstoppers…it’s in my blood. It’s all I can do to stay seated, I want to bust up on stage and “shine like the top of the Chrysler building” (an Annie reference, can you name the song?). My soul soars with the high notes and lifts with the harmony as I take it all in, and I remember. I get back in tune with a deep part that gets lost in the everyday hustle and bustle and aches to be set free. On a whim my daughter, my friend and I attended the 25th Annual Putnam County Spelling Bee musical at a local college. I was not all that familiar with the show but relished in this lively and hilarious performance (minus one song and a few lines and themes). One of the spelling bee contestants was a well-composed overachiever named Marcy Park. She was a polished speller, spoke six languages, and was fluent in dance, fencing, karate, color-guard, etc. Marcy’s character was a Tightly Wound gal if I’ve ever seen one. As the Spelling Bee competition neared an end Marcy was called upon to spell a challenging-to-most-people word. She paused, and cried out to Jesus, praying for a more difficult word. Naturally, Jesus appeared, dressed in gold and white and sprayed water on us, as he made his way down to the stage (it’s a musical remember, cheesy and over-the-top antics are common elements). Jesus replied, “No, and I won’t be disappointed if you spell it right and win the whole thing either. You may be surprised that I don’t really care much about these kind of things” (reminds me of Luke 10:38-42). Marcy ended up intentionally spelling the word incorrectly and then burst out in song and busted out an air guitar, leaping for joy, ecstatic that she was free from the high expectations that she was living under. Most people in the audience were laughing at this exchange as they witnessed the transformation that Marcy experienced. I was affected in a deep place. Jesus with his gaudy gold headpiece and his white robe and spray bottle captivated me with his words. I won’t be disappointed if you don’t spell the word correctly and I won’t be disappointed if you spell it correctly. I really don’t care much about these kind of things. 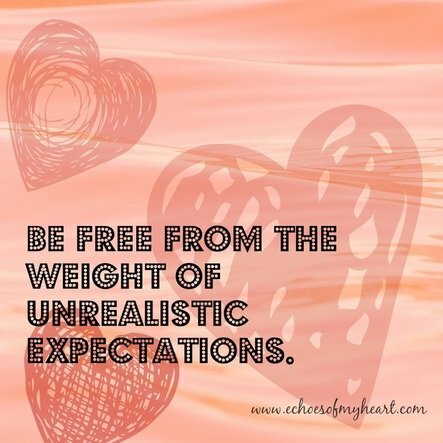 Such understanding and freedom filled my try-hard, overachieving, might-crack-under-the-pressure soul. I got Marcy and Marcy got to me. Or maybe her name was misspelled? Replace the “a” with an “e” and you get Mercy. Marcy demonstrated her new-found freedom with leaps and an air guitar. 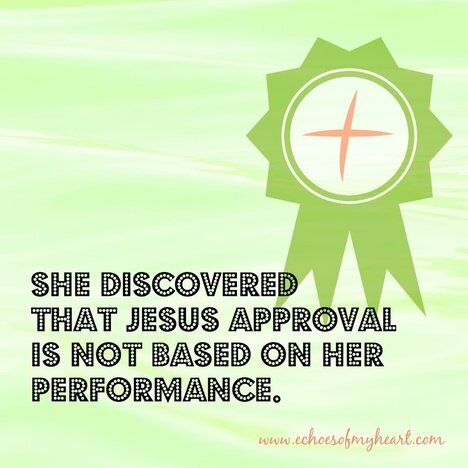 She discovered that Jesus’ approval was not dependent on her performance. He cared more about Marcy than whether she was an outstanding or slightly-less-than-perfect speller or even a lousy one. Jesus spoke truth to her and she believed it and applied it to her circumstances…and she was changed. I was changed by attending a musical that I hoped would stir my heart and resurrect dormant dreams of a wanna- be Broadway Baby. My heart was indeed stirred but in a deeper more personal way than I anticipated. Jesus spoke straight to this Tightly Wound Woman’s heart as I caught a picture of what grace and what breathing room looks like. It feels light and weightless. It smells like a fresh spring rain (or was that just the mist that “Jesus” sprayed on me as he walked by). At the Putnam County Spelling Bee I learned how to spell G-R-A-C-E.
Do you fear the misspelled words more than you care about what moves His heart? Do you stand under the law- striving and driving yourself crazy- instead of dancing along to the rhythms of grace? Do you struggle to live in the freedom that is found in Christ? Dear Friend, Let’s sit back and watch as Jesus unravels grace before our eyes and displays His love loudly on the world’s stage. Let’s rest in His Sufficiency and give a standing ovation to His “More Than Enough” as we anticipate the dramatic Finale. perfect. being free to make mistakes IS perfect! Beautiful writing, Katie. You do have performing in your bones! It’s neat to see how a performance touched you. 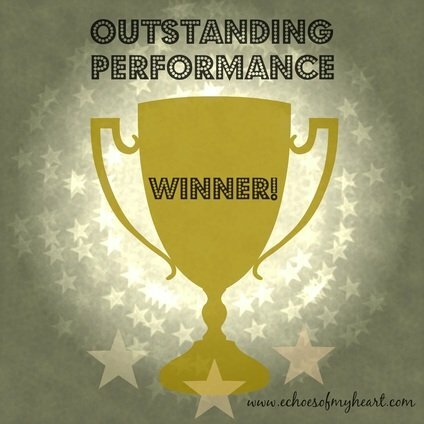 Oh, you had me on the edge of my seat and applauding with you! And when you changed “Marcy” to “Mercy”… you stopped my heart. This is a beautiful post! I loved your describers of the 5 senses of Grace. Perfect. Thanks for sharing your amazing gift here. It truly blesses me.